Receiving credit for supporting children not living the parent’s home under the Tennessee Child Support Guidelines. Parents with children with more than one partner face a challenge at winning a reduction of their child support obligation based upon the other children who are not the children of the pending case. The labyrinth of requirements confuses parents, family lawyers, and judges. The three, qualifying criteria to make a request for a lesser child support order, based upon an argument of paying support for other children, the inquiry starts with Tennessee Child Support Guidelines Rule 1240-02-04-.04(5)(a), “Adjustments to Gross Income for Qualified Other Children.” Each one of the three criteria of this section must be proven to be considered for a departure from a strict computation of a child support obligation. The three mandatory criteria for a parent to win an adjustment to the calculation of “adjusted gross income” during the child support computation are: (1) a legal responsibility to another child; (2) proof of support payments for that other child; and, (3) that the other child is not part of the pending case. These three criteria are connected by the word “and;” all three criteria must be established to win consideration for a downward adjustment in the computation of child support. First, the adult parent must have a “legal responsibility” for children who are biologically related to the adult, legally adopted by the adult, voluntarily acknowledged as a biological child by the adult, determined by a court to be the parent of the child, or be born during a marriage or within 300-days of termination of a marriage. The phrase “legally responsible for a child” is defined within the Tennessee Child Support Guidelines Rule 1240-02-04-.02(14), a section of various definitions relating to child support. To meet a parent’s burden of proof for this first criterion, “legal responsibility for children,” the parent could be required to submit a birth certificate and/or DNA test results. 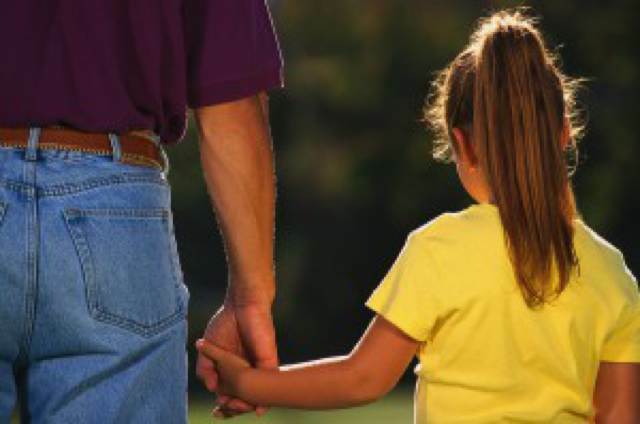 Another means to demonstrate paternity is the Tennessee “Voluntary Acknowledgment of Paternity” form, which is a sworn statement filed with the office of vital records, which is then certified by the government. A similar acknowledgment of paternity form, completed in another state, may also be admissible, if it fulfilled the requirements in the foreign state at the time it was signed. 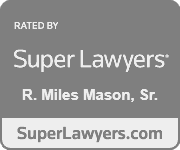 Tennessee Code Annotated Section 24-7-113 contains more information about the acknowledgment of paternity process. For example, if a parent has one child, who is the subject of a pending proceeding, and has another child, who has previously been the subject of a different child support proceeding involving a different parent, the biological parent of these two children could satisfy this first criterion. In this scenario, the two children are half-siblings, having one parent in common, but differ as to the other parent. The key in this example is that the parent with two children by two, different partners already has a child support order directing that support for the other children. The other legal pointer to note on this topic is that there is no applicable credit or deviation that can be claimed on the basis of step-children. 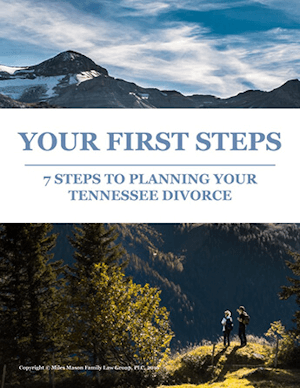 Under the Tennessee Child Support Guidelines Rule 1240-02-04-.04-5(b), even if a parent is supporting a household in which there are step-children, the parent has no legal responsibility to do so. Hence, a parent cannot claim any credit or request downward modification of child support owed on the basis of being a step-parent. To establish the second criteria, proof of support payments, a parent could produce a written court order, along with proof of payment through cancelled checks, wage garnishments, and bank statements. It would not be enough to simply offer a child support order for which a parent is not making payments and is in arrears. Next, there is a calculation of actual documented support of the qualified other children living less than 50% of the time in the parent’s home. There are three types of documented proof of payments made. First, the parent seeking credit can produce checks or money orders paid directly to the other parent. Second, the parent seeking credit can provide a payment history of support which can come from the State’s internet web site. Finally, actual documented support can include proof of “in kind” payments for food, clothing, diapers, or formula. For credit for these “in kind” payments, these payments must have been approved by the court for the other child’s case or affirmed by the receiving parent in the other child’s case. Depending on the situation, that proof may be very difficult to obtain. Once the documented proof of support has been determined, there are a couple of limitations. First, to eligible for the credit, the support for the other child must have been provided for a reasonable and extended period of time prior to this support order. At a minimum, that time period must be greater than 12 months. Second, the total of actual documented support of the qualified other children living less than 50% of the time in the parent’s home proven to be paid over the previous twelve months cannot exceed 75% of a theoretical support order. This means that a hypothetical child support order must be computed for the total number of qualified other children living less than 50% of the time in the parent’s home. No specific details or requirements for that calculation is provided, but it is recommended that the assumptions made for this theoretical support order be as consistent as possible with the child support order being determined. 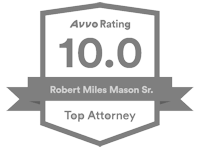 Even if all three criteria are established and an amount for credit determined, the judge is not required to make a downward adjustment of child support. The tribunal is only required to “consider” a financial obligation a parent has to other children, outside the pending case. The judge has the discretion to make no adjustment to child support or to make as much downward adjustment to child support as appears sensible to the judge. Under a different provision, more language is found that is also discretionary. 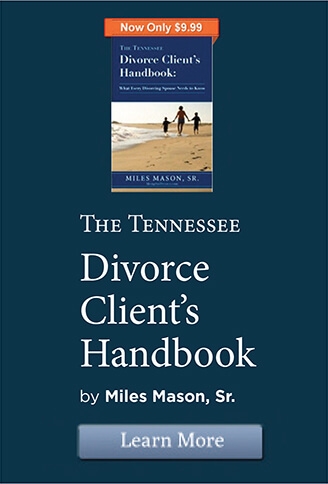 Tennessee Child Support Guidelines Rule 1240-02-04-.01(3)(g) requires the judge to “[a]llocate a parent’s financial child support responsibility from the parent’s income among all of the parent’s children for whom the parent is legally responsible in a manner that gives equitable consideration . . . to children for whom support is being set in the case before the tribunal and to other children for whom the parent is legally responsible and supporting.” While it is no more predictable than the other section, it speaks to the legislative philosophy that all children of a parent across various households should benefit from equitable financial treatment. This credit is calculated on the Credit Worksheet, which is a subschedule to the primary Child Support Worksheet. The result of the Credit Worksheet appears in the child support calculation is on line “1e” of the first page of the Child Support Worksheets which reads “Credit for not-in-home children.” The math for the credit is calculated on the subschedule and that bottom line amount is then pulled up to the first page of the child support worksheet to reduce the gross income of the parent who provides support for the additional child or children.